Aspire adds third Horizon League partner at the University of Illinois at Chicago - The Aspire Group, Inc.
ATLANTA, GA – The University of Illinois at Chicago (UIC) Athletics Department has announced a ticket marketing, sales and service partnership with The Aspire Sport Marketing Group. Located in the heart of Chicago, the on-campus UIC Fan Relationship Management Center (FRMC) will be responsible for new ticket sales and renewals as well as the generation of charitable donations to the Flames Athletic Fund. The Flames are Aspire’s 42nd FRMC and third partnership in the Horizon League, joining Cleveland State University and the University of Wisconsin – Green Bay. Regional Director Joe Kronander, who also oversees the Cleveland State FRMC, will act as the liaison between Aspire and UIC. The University of Illinois at Chicago’s Department of Intercollegiate Athletics proudly supports 20 Division I varsity programs that compete at the highest level within the NCAA. Eighteen of the 20 teams compete in the Horizon League. 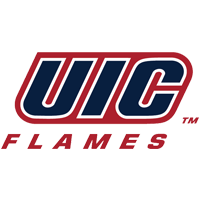 Nicknamed the Flames, UIC’s teams have won 65 conference championships and made 66 NCAA Championship appearances. This is the latest in a line of several partnership announcements for the Flames this summer. UIC has also announced a groundbreaking marketing and corporate sponsorship agreement with 4FRONT, a Chicago-based firm that aligns with sports properties worldwide. In addition, Klassy announced a new agreement with adidas, which serves as the official athletic footwear, apparel and accessory brand of the Flames. UIC ranks among the nation’s leading research universities and is Chicago’s largest university, with 28,000 students, 15 colleges, and the state’s major public medical center. UIC has been a leader in a new model of higher education: the comprehensive urban research university. The Aspire Group is a sports and entertainment marketing firm that is globally recognized for innovative consulting, ticketing and partnership services. Aspire created the outsourced ticket sales niche, revolutionizing Intercollegiate Athletics with the first Fan Relationship Management Center (FRMC) at Georgia Tech in 2009. Over the past decade, more than 230 collegiate and professional sports properties have trusted Aspire to drive revenue, attendance and enterprise value growth through the combination of strategic consulting and research services, data insights and best-in-industry fan relationship management. For inquiries, contact A.J. Smith at 404-389-9100 or aj.smith@theaspiregroupinc.com.